Inglês » 279. The girl in pink Cop. 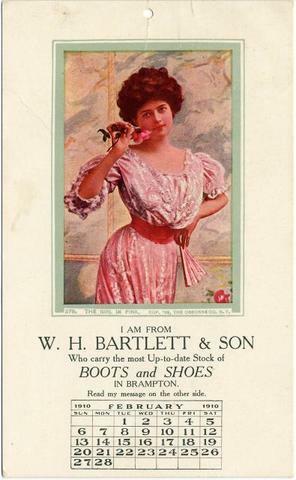 '08, The Osborne Co. N. Y. I am from W. H. Bartlett & Son Who carry the most Up-to-date Stock of BOOTS and SHOES IN BRAMPTON. Read my message on the other side. February 1910.